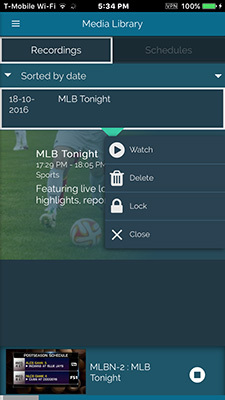 After making video recordings with Stream2's Network DVR feature, which lets users save up to 20 hours of programming in the cloud, users access and manage their recordings via the Media Library. This section reviews these functions. From the Stream2 Main Menu, select Media Library. After starting a recording, it is listed in the Media Library. Users are limited to 20 hours of video recordings per user. The Media Library has two panels: Recordings and Schedules. 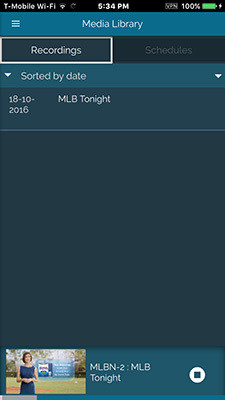 Note that if you are playing a live program or a recording as you access the Media Library, this video will continue playing in the Mini window at the bottom of the screen. 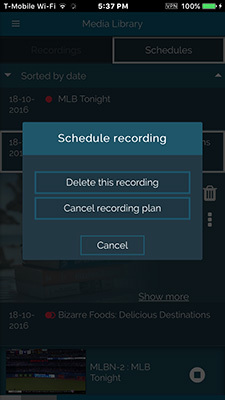 To manage existing Stream2 recordings that were scheduled via nDVR, select the Recordings panel and then select a recording listed in the Media Library. Recordings can be played or discarded. 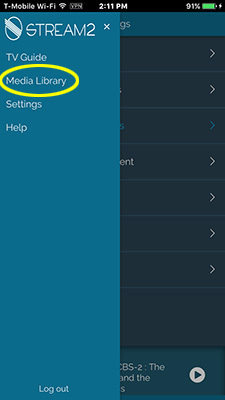 Tapping the icon with the three vertical dots exposes a 'jawbone' menu that also contains an option to Lock recordings. 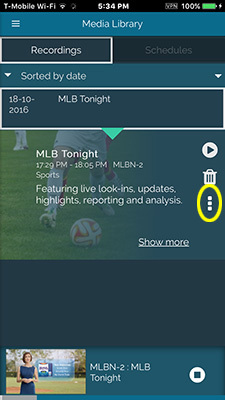 The 'Lock' option is not available in Stream2. 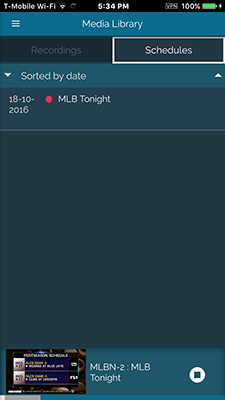 Recording schedules are also listed in the Media Library, under the Schedules tab. If you have scheduled an individual recording or a established series recording plan, the scheduled recordings will appear in the Schedules tab. 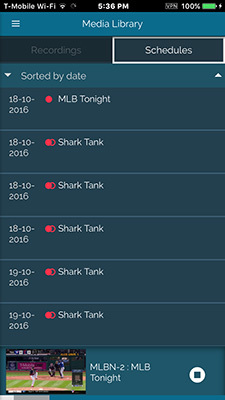 The process for recordings and recording plans is on the Time Shifting and Network DVR page. 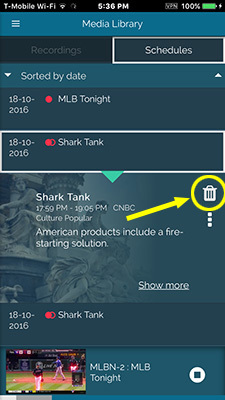 Users can delete individual programs as well as series recording plans. If the user selects a program that is part of a series recording plan, the user can choose to delete the individual program or the entire series recording plan.